Swimming is one of the gentlest and most relaxing activities. We have decided today to write an article about the benefits of swimming on the body and in particular during a very precious moment in life : pregnancy. We’d like to point out that at Ondilo we are not obstetric experts, but we would like to share with you some photos of serenity and softness, the primary objective of our ICO in terms of managing the water in your pool. What are the advantages of swimming ? 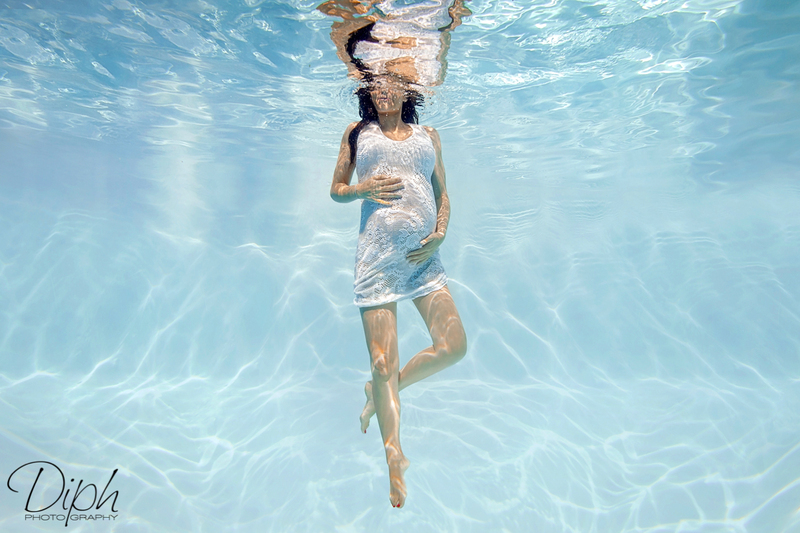 Swimming for pregnant women should be a relaxing moment. In short, the water relieves all tension linked to the weight of your body, and it is therefore a moment when one can make the most out of moving nimbly. Swimming strengthens your back and your upper body. Furthermore, it is an ideal sport during pregnancy, notably for cardio-respiratory exercise without putting a weight through the pelvis and joints since the water gives a weightless effect. However, it is important that the pregnant woman takes the time to adapt to this new rhythm to avoid breathlessness during sessions and increased fatigue. Swimming helps, according to researchers from the University of Montreal, the development of the baby in the womb and will limit the risk of infantile obesity. Staying in shape during a pregnancy is important, notably, to relieve the back or tension linked to the weight of your stomach which bends and gets heavier with the growth of the baby. Swimming is gentle but by no means be encouraged for all pregnancy cases. It is imperative that you speak to your GP, your mid-wife or your gynecologist before any sporting practice to be sure that your physical condition and that of your baby allows it. Making use of a photograph to immortalize the unique moments that represent the magic of motherhood is popular practice in France. Doing it under the water, with touch of softness and poetry is new into the world of artistic photography. Despite being widespread in the United States, “underwater” photography has just arrived in our country. Practiced by shape or experimental photographers, it is done in swimming pools or in the sea. A trend that a young photographer from the south of France decided to take up with pregnant women, giving place to some high level photos. Or those that will take your breath away ! Her underwater world gives color, softness and a sense of lightness and weightlessness at a moment when the mothers, out of the water without doubt do not feel like that. “I am Delphine from Diph Photography, and what has always excited me is the visual world : colors, shapes, light, images, painting, designs … I finally turned to photography and nowadays I’m lucky enough to do what I love for a living! I love versatility, that’s why I wanted to learn several techniques and disciplines for photography during my studies and work experience. Currently, I practice alongside professionals, specializing in reporting on businesses and events as well as “underwater” reports (two completely different worlds)! I love changing between projects, having weeks filled with variety and learning from each on of my experiences. I am very aware of notions of safety, hygiene and kindness, things which are indispensable if I want my aquatic photo sessions to run smoothly, because remember, the future moters, babies and sometimes the family are completely submerged in the water! An excellent water quality is essential for my underwater photography. Having clear and clean water is a priority for most families with a pool. I measure, anticipate, and produce recommendations so that you know the right dosages of chemical products to use. I help you limit the risk of irritation of your skin and eyes for you and all the swimmers in your pool, especially during a period so delicate as pregnancy.